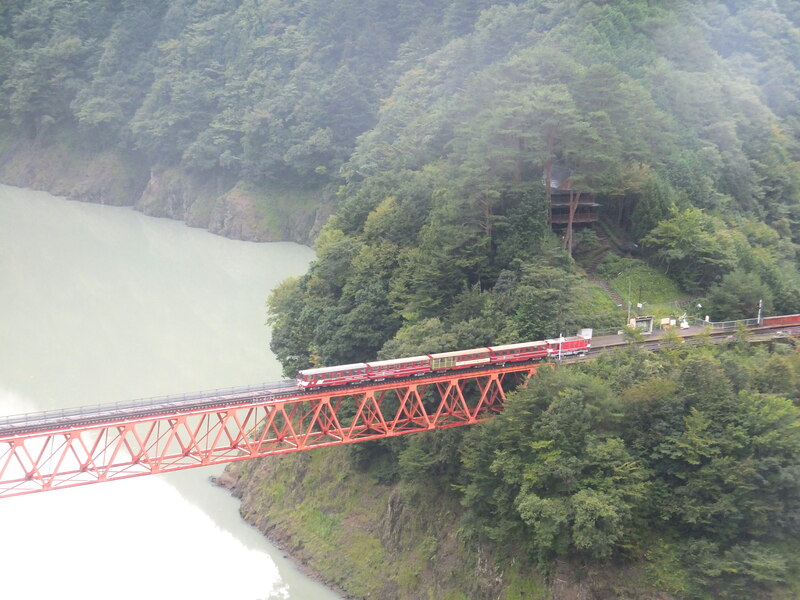 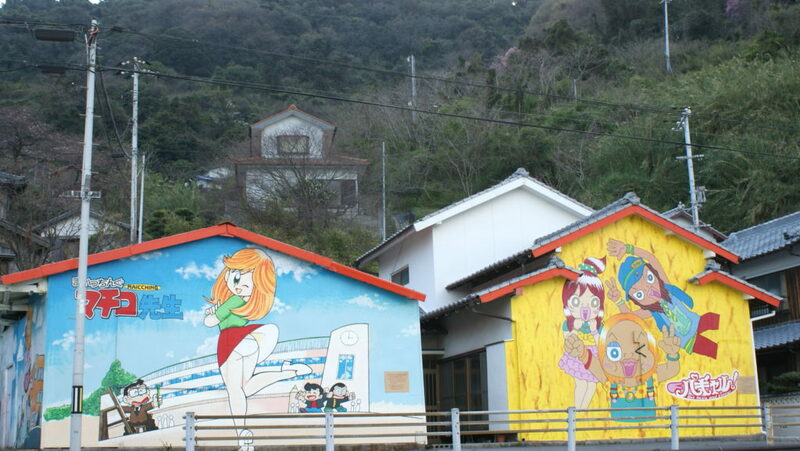 Kamijima town, one of the most beautiful villages in the Japan, a remote island town with 25 islands floating in the Setonai Sea.Among them today I would like to introduce you about quite interesting activity at Takai Kamijima.island whose population is just 16 as of today. 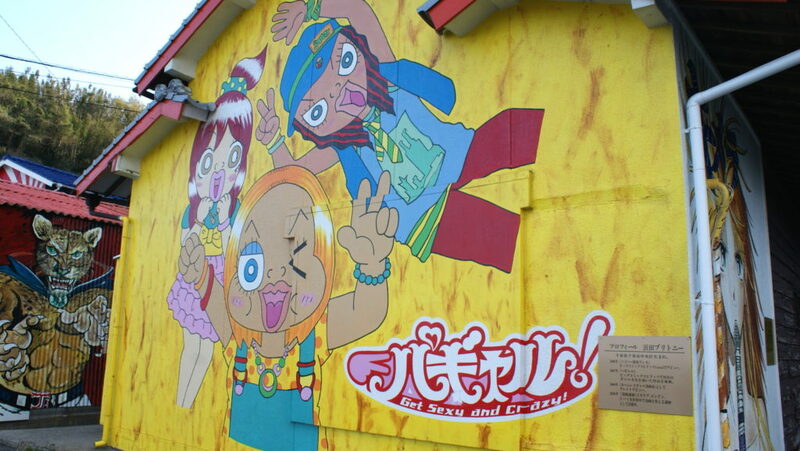 (The youngest one is 66 years old. 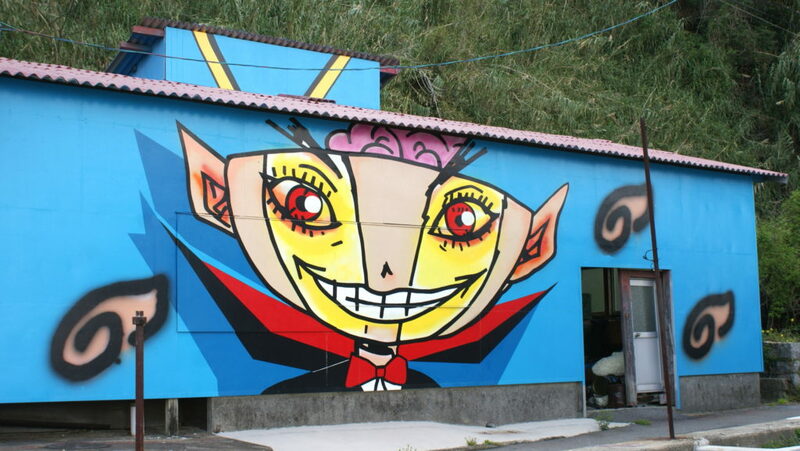 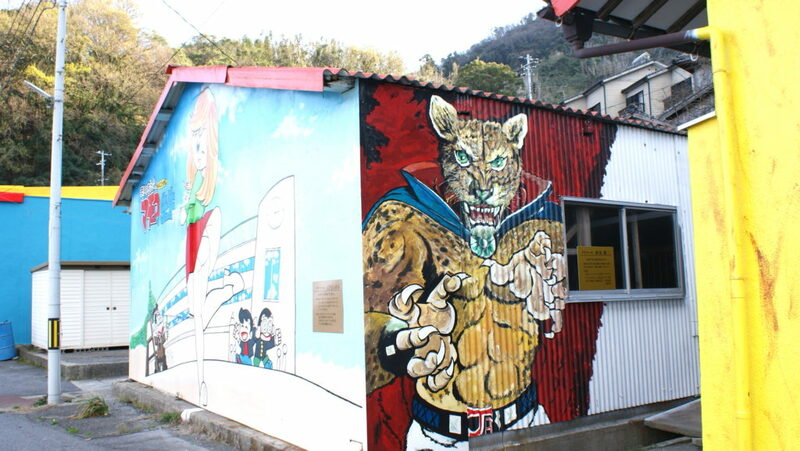 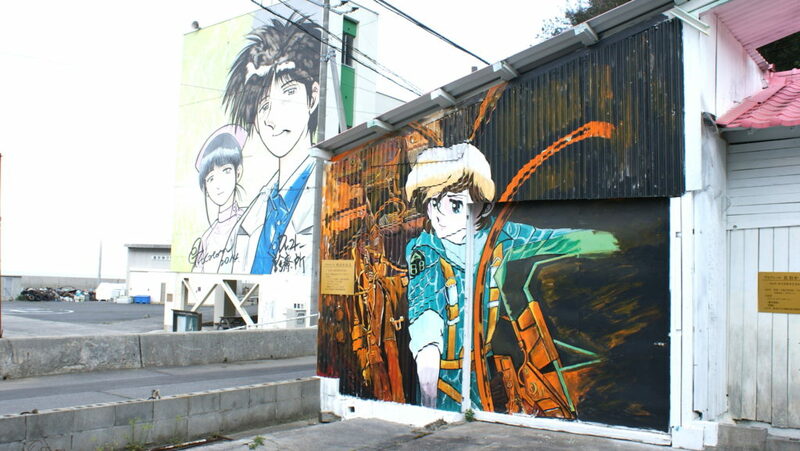 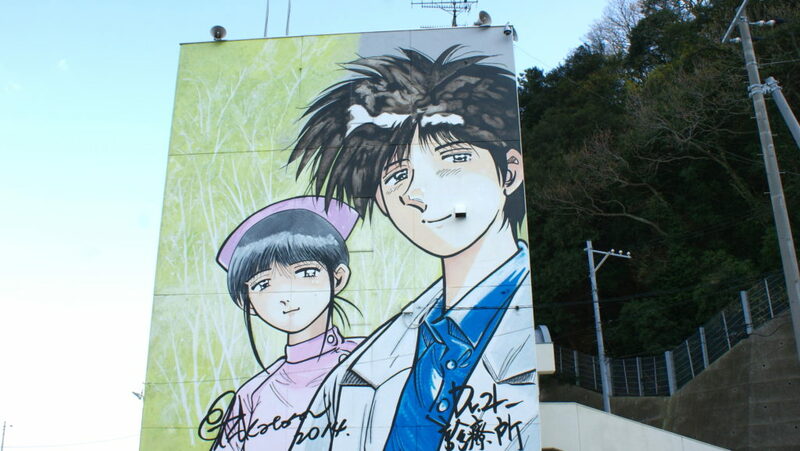 ).They draw manga in vacant houses from more than ten years ago to try cheering such an island. 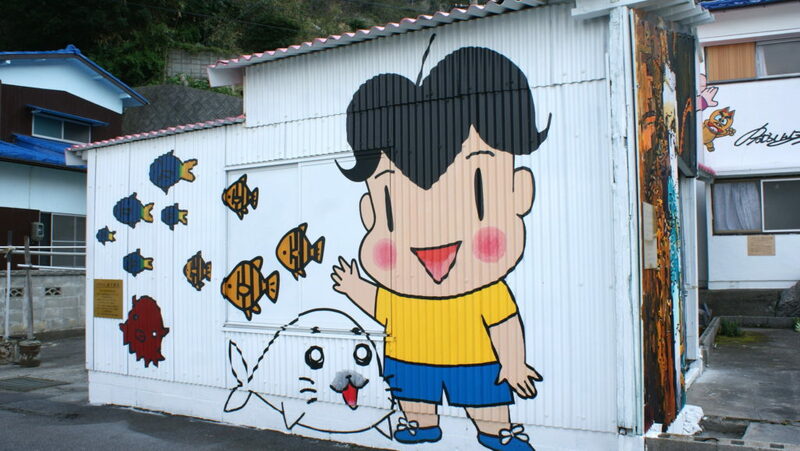 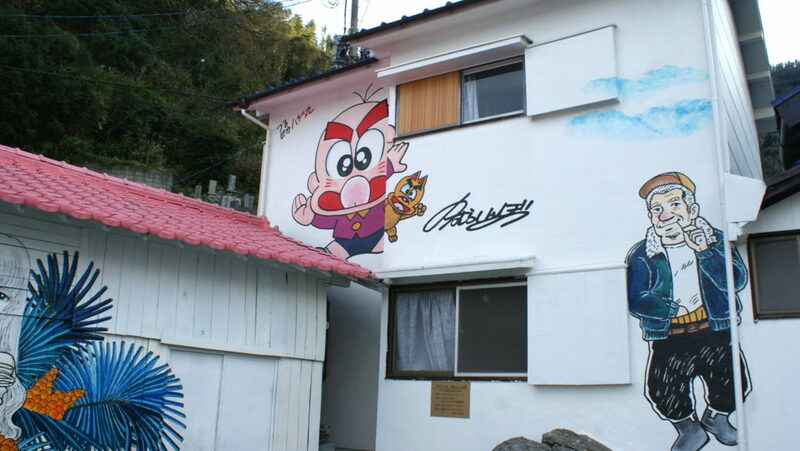 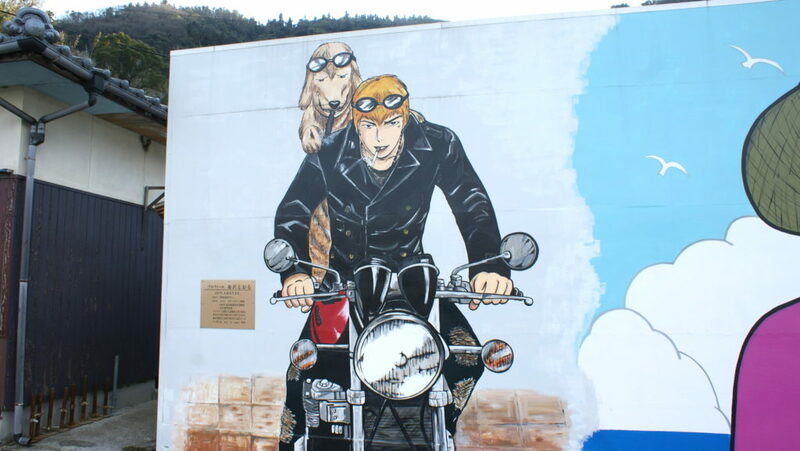 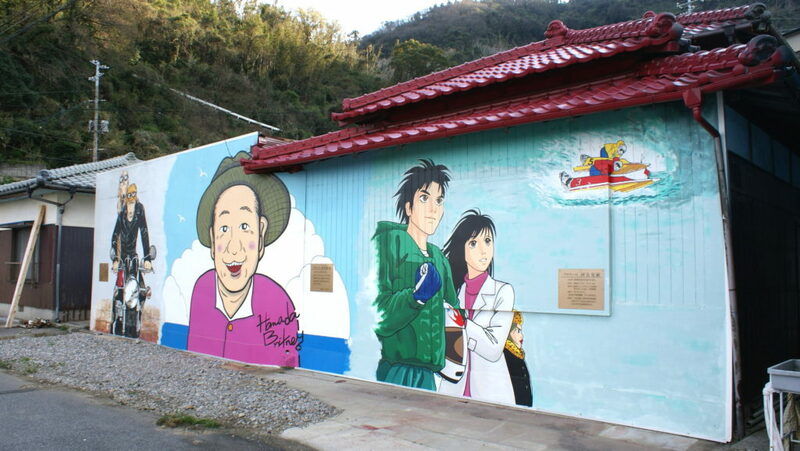 At first, it is said that Mr. Hasebe, cartoon writer, who immigrated to the beauty of the island afterlife, drew his own work on the wall of his home.It’s called the rumor and empathy, and the cooperation of other cartoonists. 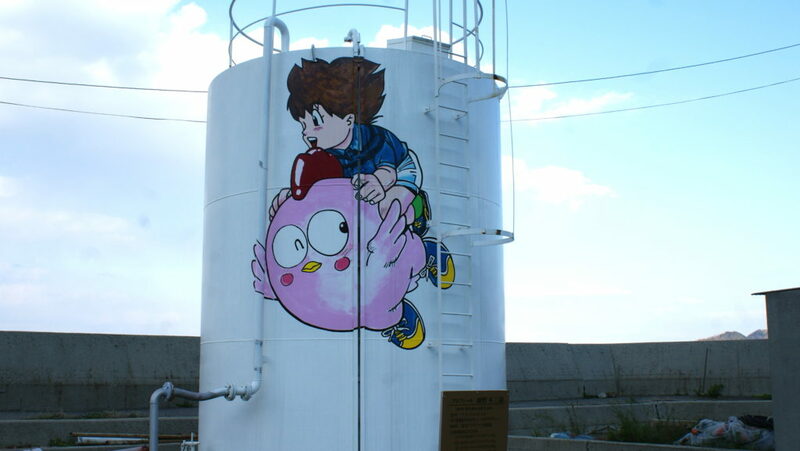 Now, more than 15 works have been drawn not only in vacant houses, but also in public halls and water tank. 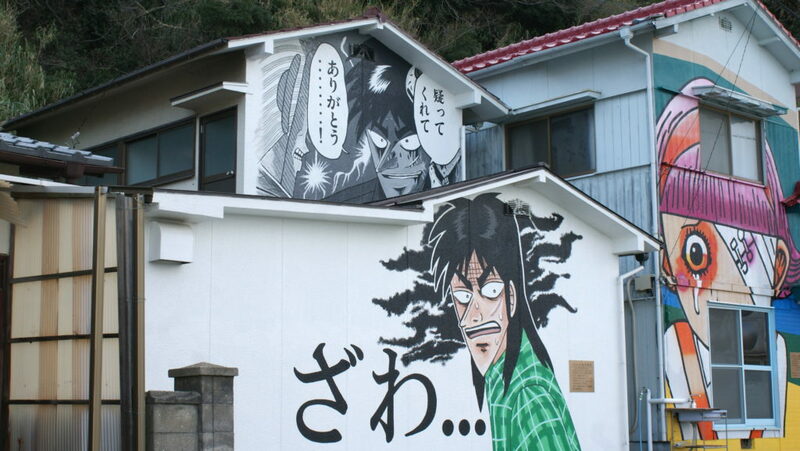 At the moment, manga art is drawn only in the empty house of the harbor someone’s requirements, but unfortunately, the number of vacant houses is increasing every year, so it is not likely that art works will continue to increase from now on. 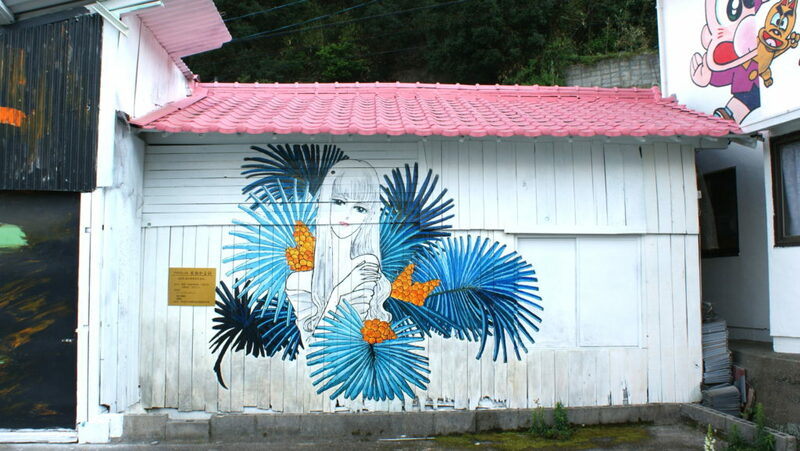 But on the contrary, it is attracted to this cartoon art work, and the number of migrants may increase and the population is more than the age, anyway, I would like to keep watching the progress of this island. 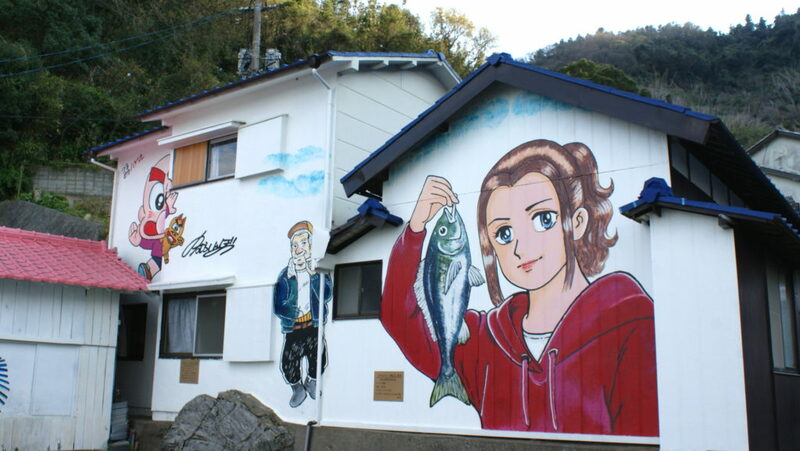 There is no vending machine nor shops on the island, so don’t forget to bring food and drinks when you go to the island.There are currently only four ferries to and from Takaikamijima and Yuge Island.The last flight is at 5:40am, so please do not miss it. 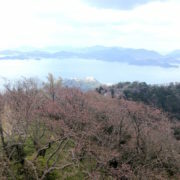 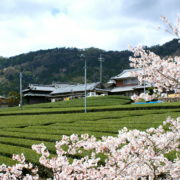 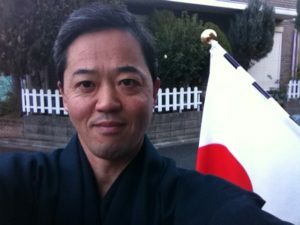 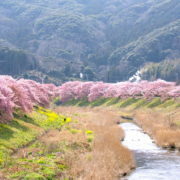 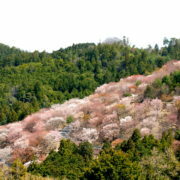 Previous page Matsuzaki-machi "cherry blossom season has started"